Here’s the problem – every player dreams of playing for Barca or Real. Whatever we fans think about how wrong that may be, playing for either of the Spanish giants is the pinnacle of playing achievement. This is especially true of Spanish players who can say that RM/Barca are in their DNA (total bolleaux). Let’s face it, if you are born in a Spanish speaking country, grow up with in a Spanish culture, eat Spanish food and listen to execrable Spanish music then it is highly likely that you will choose to return rather than freeze your buns off in the Premier League. So why do the foreigners come to play in England? This has a one word answer …. Money, especially if they are not good enough to attract a top Spanish team. In Bellerin’s case there is also opportunity; it is unlikely he would have played so many first team games at Barca at just 19 y.o. My concern is that Bellerin is a major talent, almost certain to become one of the world’s best right backs and he is not only Spanish but a product of the Barca youth teams (much like an ex-Captain of ours). At Barca, Dani Alves is a shadow of the player he was, Montoya is not good enough hence Barca need a new right back – their solution is obvious. “If I had stayed in Barcelona I don’t know if I would have got to the top, the elite. “I have worked as hard as I could and always with the mentality of going as far and as high as possible. Wherever I was I would have done the same. How will he feel when his agent says that Barca will double his wages? How will AFC respond to a €30m offer? Bellerin has a contract until 2017 and is currently in negotiations to extend which is good news. But we all know he will return one day to fulfil his ambitions to play in his home country and it is for this reason that I make the following proposal …. our foreign talent scouts forget Spain, Italy, France etc and concentrate on countries which no-one ever says “I am returning because they are in my DNA”. This is why the purchase of Bielik from Konin in Poland is such a fine move, he will never say “It has always been my dream to play for Legia Warszawa”. Or will he? There has been a lot of debate surrounding the ‘Boring, boring Chelsea’ chants at the end of Sunday’s game at The Emirates. Maureen as usual used it as an opportunity to further twist the knife in Arsene’s back suggesting that not winning a trophy for 10 years is ‘boring’. Yesterday a poll on TalkSport asked neutral supporters (i.e. not a fan of Arsenal, manu or the chavs) the question ….. “If you could have a free season ticket to watch either Arsenal, Utd or Chelsea, which which would you choose?” Arsenal came out the clear winner. The conclusion is that neutrals want to be entertained by great football and therefore chose the team which puts style before pragmatism – but also has been the least successful over the last 10 years …. please don’t remind us of the stadium expenditure, it is a gimme that it was the reason why we have struggled to win trophies over that period. Arsenal supporters are being branded as being a bit weak minded, and like their team, not ruthless enough. So here’s your chance as Arsenal supporters to define yourselves. Choose one of the following options that comes closest to your values as an Arsenal supporter. Did Arsenal play for the draw? I think we all know games against Chelsea are rarely thrillers, and yesterday was no exception. My hopes were low. For an entertaining game. I was not disappointed. Thing is, while the final whistle revealed how happy Chelsea were with one more point on their way to the title, The Arsenal Lads hardly looked crest fallen did they, and nor was I. It was one more point on our merry run, and we look good for an improvement on last seasons’ 4th Spot. Both sides were clearly going to do their utmost to seize goalscoring opportunities as and when they appeared, but not losing was the priority, for both sides. No way does Go-For-The-Win-Arsene start with Aaron on the right. More likely Santi and Aaron switch roles, or at least a Danny or Theo start. Rather like a Mourinho side, Arsenal were less gung-ho in their approach. Aaron on the right proves this. Did Arsenal approach the game in a more Chelsea’ish fashion, in other words adopting a less cavalier approach in place of something more “total defence” first? Chelsea know they have the Hazard/Costa (not yesterday I know) type of quality that in a second can punish any team, and are happy to play that type of game. I have a nasty feeling Arsenal might be moving in this direction, and while I understand it during certain phases of certain games, I do hope it does not become a habit. Aaron on the right really worries me. I used to like them. I used to like the fancy-dans of Kings Road. I liked John Hollins, Charlie Cooke and Ossie and even Terry Vegetables. I enjoyed watching Ruud Gullit and Vialli and Pat Nevin, They had swagger, class and style. They were Chelsea but post the Russian have become The Chavs. New money, new ethos – efficiency over character. If I were a Chelsea fan would I be happy? Of course I would but I know I would hanker after the Glory Days because football is not just about winning – it is also about entertainment. A team with Hazard, Costa, Fabregas, Oscar, Willian etc should be able to get bums off seats, instead they are tailor-made for a mid-afternoon Sunday nap on the settee. You know what to expect – they do enough to win and no more. What happened to that wonderful team which hammered all-comers at the beginning of the season? Same players but totally different entertainment level. Why? The rot starts at the top, filters down to the horrible oik of a manager then to the dreadful team captain and onwards to the team. I will not ruin your day by spending any time writing about the manager; suffice it to say that he is successful and charismatic – so was Stalin. What of today’s encounter? First vs Second (well it was on Friday!). A win today takes us back to second with a game in hand on MC & MU (and 11 points ahead of the N17 neanderthals). Can we finally beat Mourinho? To start with, Ramsey has to play. Whomever is to play right back will have to cope with Cesc, Oscar and Hazard. He will need the additional security of a tackling “winger” rather than Theo. Bellerin or Debuchy? We discussed this briefly mid-week with the majority pointing out Bellerin’s fine run of form and his extreme pace; my inclination is to start Debuchy. Bellerin makes the odd mistake which is inevitable with such a young man, Debuchy may not be as pacy or as much of an attacking threat but he has the experience. That said, Debuchy did not excel at Wembley. Then there is the battle of the Franks – Francesc vs Francis. Le Coq has excelled in recent weeks but Cesc is a level above all the MF’s he has faced. Whatever your feelings about Fabregas the man, he remains a wonderful footballer – the best in his position in the PL (IMO). Would he improve the current Arsenal team – possibly not, but who would you rather see in the Red & White, Cesc or Aaron or Santi? All of them is my answer! The teams seem evenly balanced and I expect the result to depend upon which side makes the least mistakes. If our defence can concentrate for 90+ minutes with the midfield backing up both FB’s we should win because we have better forwards. I know Hazard will be Player of the Season but in my opinion Alexis has been better. Ozil and Giroud are better players than Oscar and whichever lump plays upfront for Chelsea today. BFG or The Archangel? If fit, Mertesacker has to start, though Gabriel seems to have pace and excellent abitliy in the air which could be vital against a team with such big CB’s. Cahill, Terry and Ivanovic have scored 15 goals between them! Other changes could be Welbeck in for Ramsey as Mr Wenger may choose to be more attacking in a home fixture – somehow I doubt it. The bench is possibly the strongest in the PL. We have so many fine players in the squad. When The Ox returns will he find a place in the current first 11 or even the bench? Matic worries me. The man is a beast and exactly the kind of player Mr Wenger should be buying in summer. Sadly this type of player is rare and as such hugely expensive. The physical battle between Matic and Le Coq will be interesting. Courtois. This chap is fantastic, everything I wish TPIG could have been. Let’s hope he has a disastrous evening. As to the Mourinho/Wenger hoodoo. It is just history – as irrelevant as our FAC Final win over the Chavs in the Ray Parlour final. That said it would be wonderful if we could win today to stop another tedious media narrative. We have won 9 games in a row, are at home, have a fully fit team and bench. We can win. Should Arsenal be flying Fabregas’ flag when we play Chelsea? 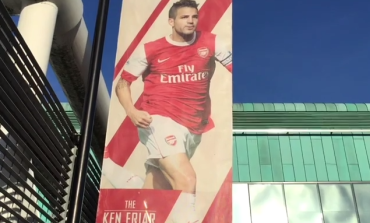 There is a poster on display on the bridge at The Emirates depicting former Arsenal player Cesc Fabregas. It is part of the “Arsenal Greats” gallery which includes such luminaries as Tony Adams, Dennis Bergkamp and Charlie George, all players who showed a lasting loyalty to our club, why is there then a picture of a former Arsenal captain who deserted the club supposedly to complete his boyhood dream of playing for his beloved Barcelona? It seems that when his dream move turned sour he couldn’t resist the lure of the wheelbarrow loads of Abramovich roubles on offer down the Fulham Road. Does Fabregas really deserve to lauded alongside those true Arsenal Greats listed above? With the imminent visit of the Chavs, and Fabregas, why is the poster still on display? Should it be removed prior to Sunday’s game? I say Yes!! The silly season is fast approaching with the rumour mill beginning to engage its cogs and whirly things in an effort to ratchet up the intensity of the potential player offerings and to make the driest mouth salivate as if sucking a lemon. Your correspondent in recent times has had a particular interest in a tall, tricky and speedy winger named Yarmolenko, who might well be a replacement for Theo, should his imminent contract talks fail to ignite his desire for more dosh to count when next he is injured. Some of you may think I have a personal agenda or that it is wishful thinking on my part as I have mentioned, once or twice or perhaps many times, that I think it may suit both Arsenal and Theo best if he moves on – but my agenda, if it exists, interests no one but myself. No! I do not have a ‘thing’ about Theo, he is a nice guy. The sort who you would not mind your daughter bringing home to meet you, if you had a daughter, and Theo was not already married. The fact is that Theo has been with the Gunners for about 9 years now, and, it seems, is always prevented from reaching the level his early career potential promised, mainly because of injuries or, lately, an inability to find a place in the team. A new club, a new team, a new manager elsewhere in the Premier League, or Europe, may be the solution and could well re-charge his batteries and give him the impetus he needs to show the world what he can do. Of course it would be naive to ignore the fact that there are, and will continue to be, many other fans who will disagree with that opinion – but so be it. I recently read that another tasty, fleet footed winger, who I really rate, has also appeared on the rumour grapevine, well they all do, eventually, and he is someone who has allegedly turned down other offers at the moment, including one from the Spuds, as he hopes to achieve his own ‘dream’ or ambition of playing for Arsenal, and his name is Konoplyanka from Dnipro. A rough count of the rumoured interest in players by Arsenal, or interest in Arsenal by players has reached about 30, so far, and the only disappointment I have is that Matuidi has not declared his annual love for Wenger and Arsenal yet. But enough of my idol musings, what rumours excite you? Do they make any sense? It is also counter-rumoured that Wenger will not buy anyone this summer. 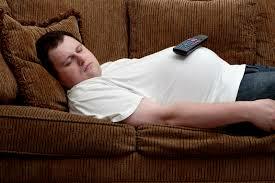 The logic being that he has said that he does not want anyone to go in the transfer window. Le Coq has impressed him enough for him not to want to pursue Kondogbia or Gonalons. But what about back-up you squeal in unison? Well the youngster Bielik is being groomed to become the new midfield enforcer, and if Arteta and the pay as you play Diaby are also available there is a certain logic to that. We may need a new top notch Keeper, maybe Cech, but Wenger has made it clear that Ospina has replaced Chezzer as the new No.1 , and if he buzzes off, Martinez will move up to be the No.2. The midfield is already swamped with an over-supply of assorted players, and with Welbeck, Sanchez, Podolski, Sanogo and Giroud it would appear we are swamped with Forwards too. However, this theory could be pooh, if Sanogo, Podolski, Walcott, Rosicky, Flamini, Diaby and even Cazorla all up sticks and depart for pastures new.